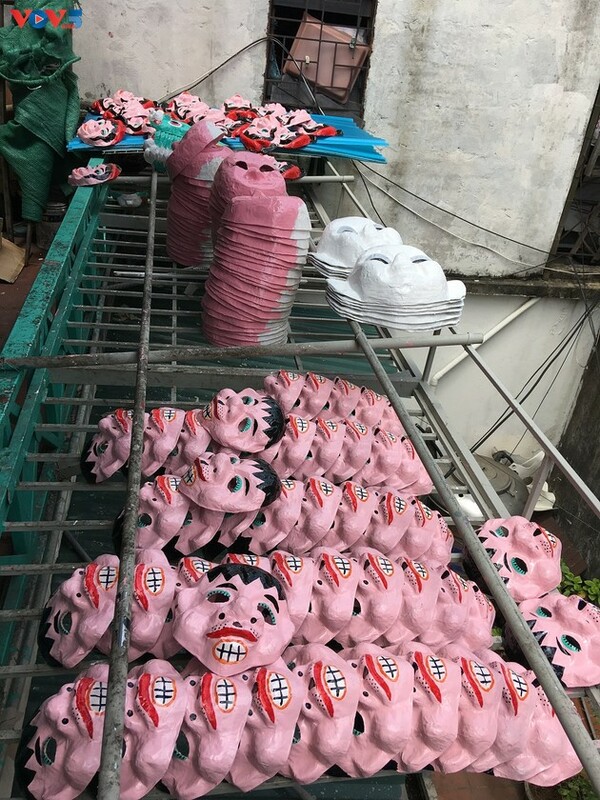 This small corridor is where the masks are made. 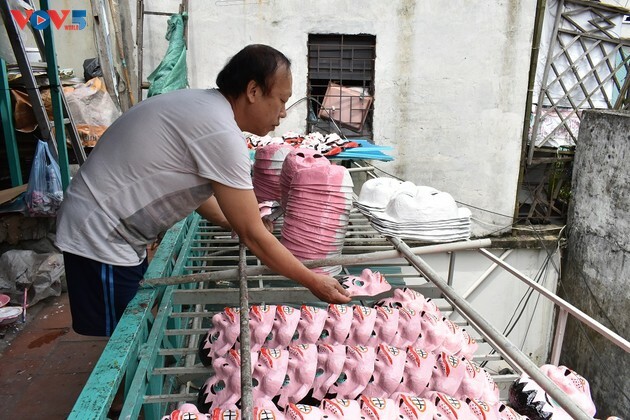 The couple do their work with industry and skill. 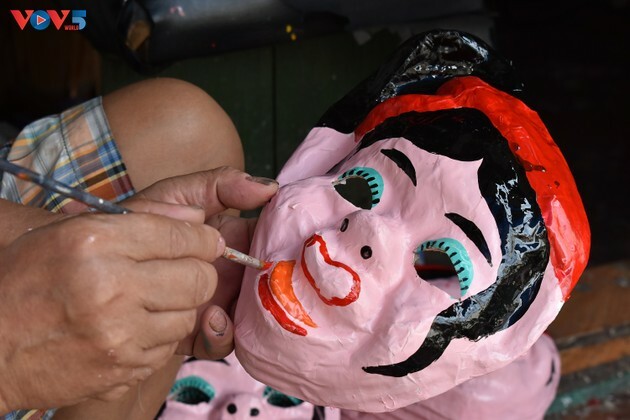 Mr. Hoa says this craft requires meticulousness in every step to produce a beautiful and spiritual mask. 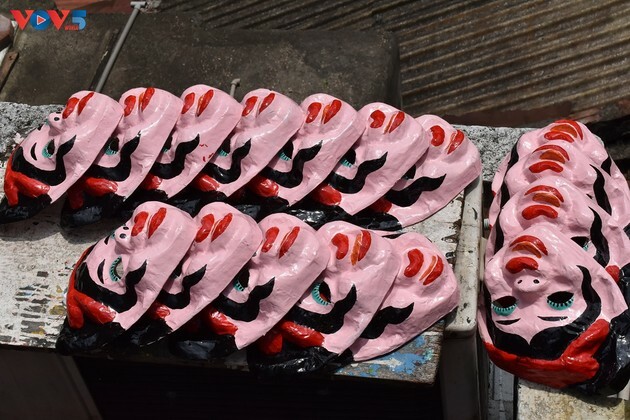 After being dried, the masks are painted. 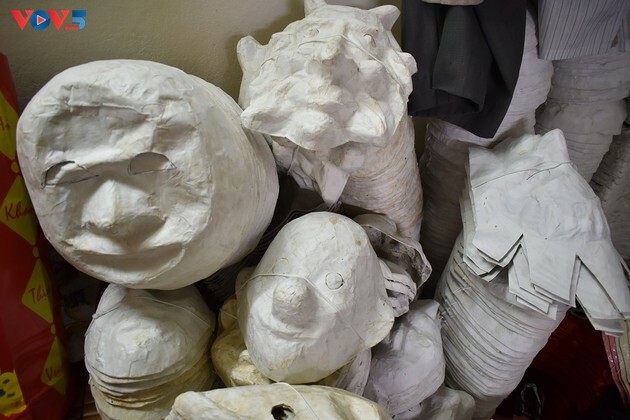 They take advantage of sunny weather to make paper masks all year round. Because they need to take an hour to make a paper mask. 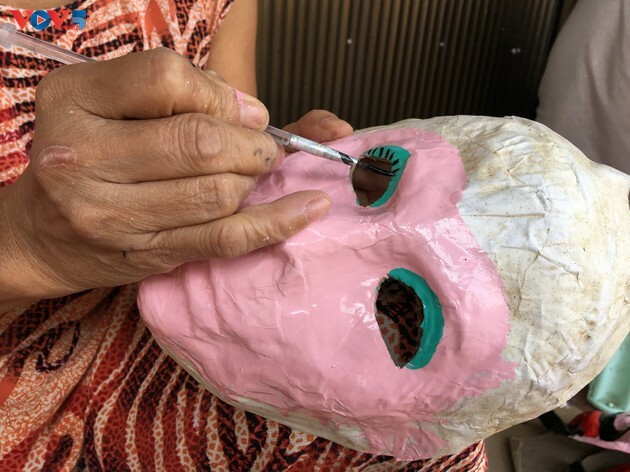 To make a mask requires several steps, including choosing the tapioca for the glue and rounding up old newspapers. 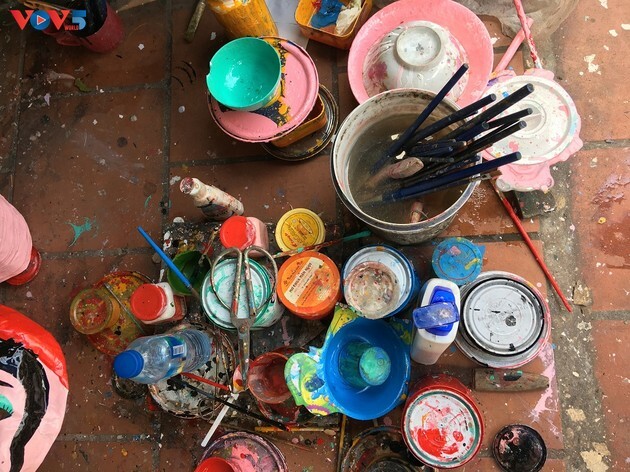 The artisan first tears the paper into many pieces, coasts layers of paper with glue and presses them into molds. From the mold emerge the shapes of faces. 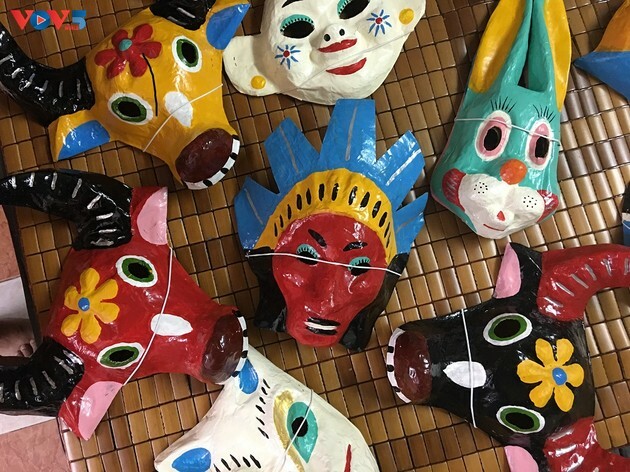 The masks are dried in the sun, then painted. Today cardboard is considered a very environment-friendly material. 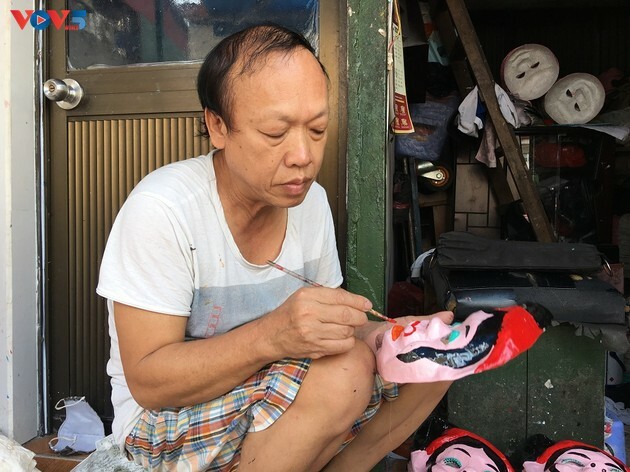 In the past 45 years, Mr. Hoa and his wife have made thousands of beautiful masks. The couple love this craft. That’s why they continue to make cardboard masks. 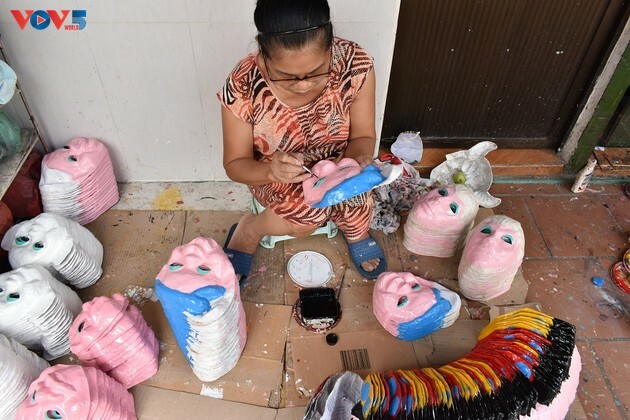 (VOVWORLD) - In Hanoi’s Old Quarter, there is one family that has persisted in making masks of folk characters from old newspapers and tapioca.